I was elated to discover Travels With A Donkey In the Cerennes on line, free of charge through LibriVox Recording. 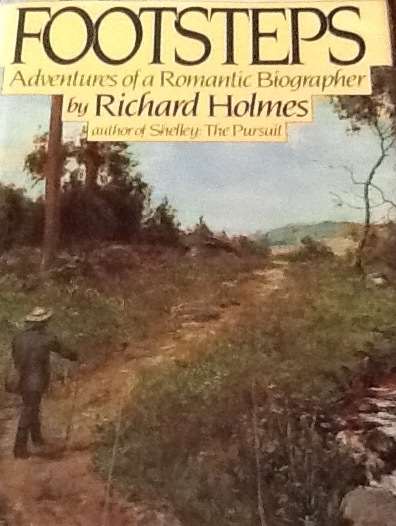 Strange as it may seem, I was not aware this book existed until a dozen years ago while reading Footsteps, by Richard Holmes, a British Romantic Biographer. Holmes followed Stevenson’s path across France duplicating his trek, taking his meals at the same time and sleeping where he slept. Holmes achieved his goal for the mostpart. However, the driving force behind this journey would remain a mystery for awhile. From published essays Holmes determined that Stevenson was on the trail of Fanny Osborne, An Indiana woman ten years his senior, the woman he would eventually wed.